This is one of the Nubar duochromes that I never wore much. I don't know why I never reach for it, it's an amazing color. Probably because it's pink, and why would I wear pink duochrome when there's purple duochrome calling my name? Nubar Pink Flame. The main color on this one is a dark coral pink. It looks pinker in the center and more dark reddish-coral at the edges. As soon as you change the angle, it starts changing colors. 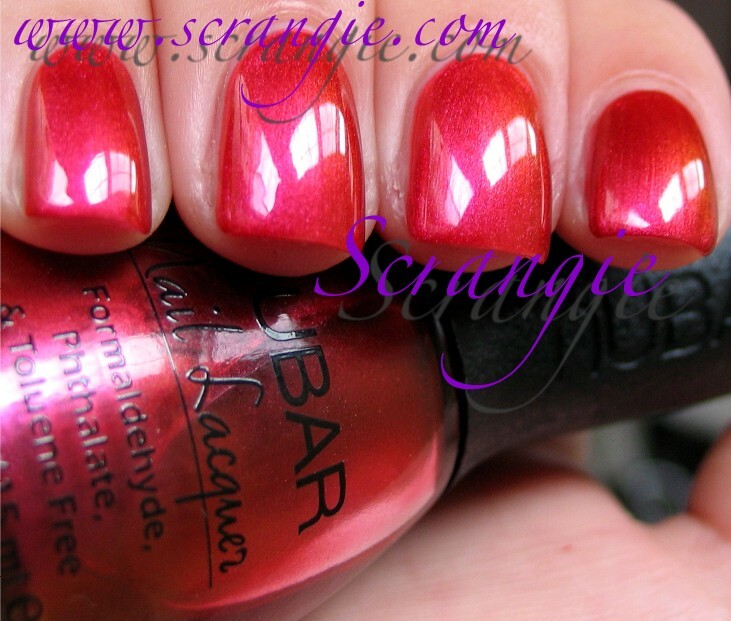 It flashes lighter pink with purple tones, darker red coral, pure red, flaming orange and golden yellow. Pink Flame is the perfect name for this. I don't have many polishes in my stash that look like this. I can't even think of an exact match for it. It's so rich and saturated compared to other pink/orange duochromes I have. 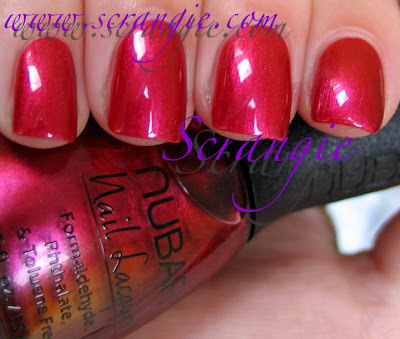 It looks great on you, and Nubar is awesome for creating all kinds of duochromes! Hehe. You crack me up, but I feel the same way about purple! That is super pretty! 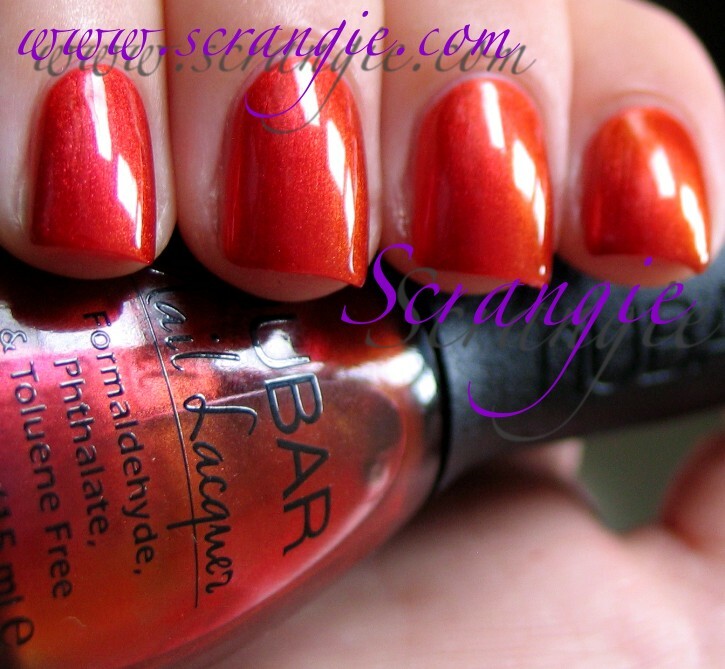 I am not a huge fan of red in general, but with that orange duochrome - OH MY GOD! AWESOME! 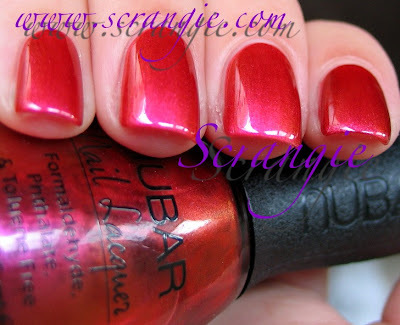 I've only ever heard of Nubar from your posts - where can you find it? RoboZelda, I've never seen Nubar anywhere except their own website- bynubar.com. That's where I got mine from! Barby1923, they're supposed to- it's a pink/orange duochrome :) Isn't that cool? Nice. I wished I'd purchased this instead of China Glaze 108 degrees, which is way too hot pink for me. Ah, live and learn . . .
Oops,meant to add. I've purchased Nubar via Amazon and Ebay. WOW! 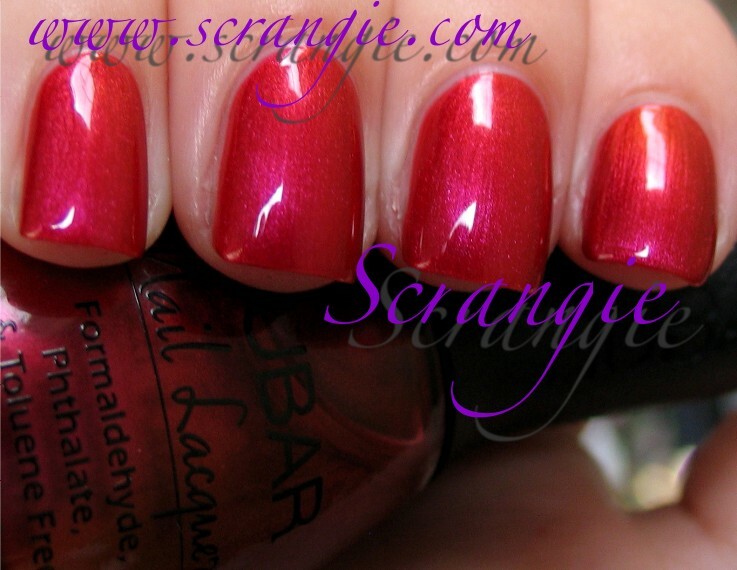 I have passed over this gem from Nubar when I have put in ordered. 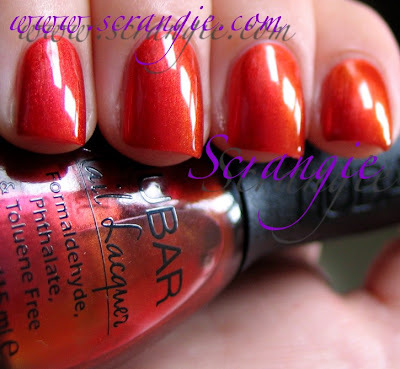 I have to call my friend who uses them in his salon and see if he can get me a bottle of this shade...it's amazing - pink to orange! LOVE! I'm so glad I have this beauty. 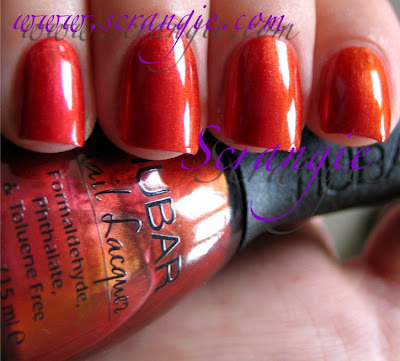 Nubar makes some terrific duochromes. Woah...your nails are gorgeous! I like how A England had some darker, more adventurous shades but then kept it fresh with the glitter.